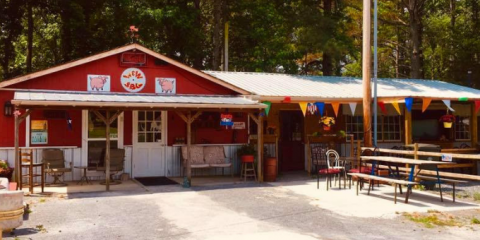 If you’re looking for a great restaurant that will satisfy your craving for delicious and lip smackin’ barbeque and wings, visit W & W BBQ in New Hope, AL. This restaurant is the go-to for many in the area thanks to their superb service, variety of barbeque dishes, and affordable prices. As a family owned and operated restaurant, W & W BBQ provides their customers with heavenly and delectable home-cooked meals without any of the cleanup. Whether you’re in the mood for smoked burgers, hot dogs, and tater boats or want a more traditional barbeque meal, such as ribs, brisket, or smoked wings, their food is sure to please your taste buds. In addition to service at their restaurant, their expert staff also provides professional catering services for large events, including weddings, corporate events, and private parties. Take a bite out of a pulled pork sandwich or savor a honey-smoked brisket when you visit W & W BBQ. Call them today at (256) 723-2835 to learn more about their daily specials or visit their website to view their full menu.